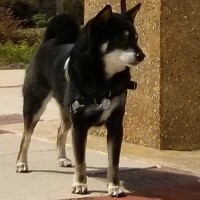 The Misanthropic Shiba was one of the sites I read when researching the breed before buying Snickers years ago. There are many factors that contribute to the overpopulation and mistreatment of companion animals in the United States. I believe the key to change is education. This website is my next step in attempting to do my part to educate the public.